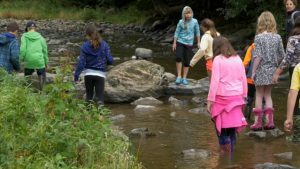 Part of the “Dive In” series for Lake Champlain Basin Program highlighting local opportunities to get involved in lake stewardship. CLiF brought on Peregrine Productions to produce summary videos for each of their five programs. 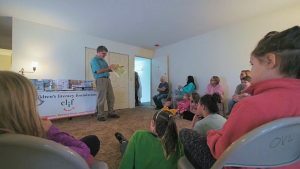 Their At Risk Children program aims to provide inspiring literacy activities, support, and new, high-quality books to children from low-income families and to other children who are at risk of growing up with low literacy skills. 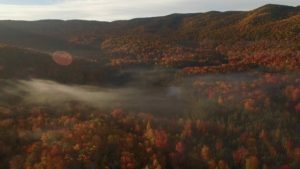 Vermont’s Forests, Parks and Recreation Department took the lead in producing a national video celebrating the first 25 years of the Forest Legacy Program. 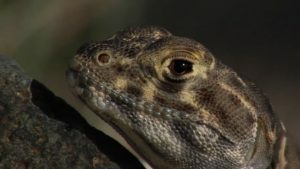 This documentary, highlighting success stories in Arizona, Florida, Montana, New Mexico and Vermont, will air on state PBS stations and be used in agency training programs. 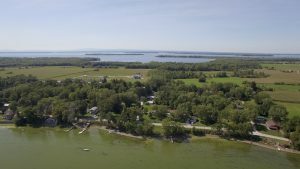 The Lake Champlain Basin Program is highlighting partnerships and opportunities for the public to get involved in improving local water quality as well as further developing an appreciation of Lake Champlain. 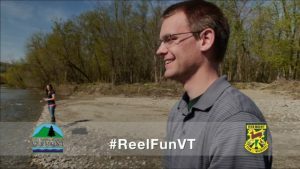 Vermont Fish & Wildlife Department was looking to create an authentic commercial to encourage people and families to fish at Vermont’s State Parks. Did I mention they also have free tackle at designated parks. 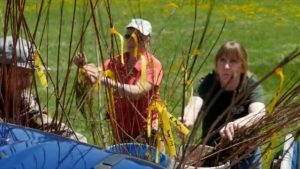 Vince teamed with Fran Stoddard to produce a series of short vignettes for the High Meadows Fund aimed at raising awareness around a number of local watershed teams and their important work. Peregrine Productions is so excited to be working with the Children’s Literacy Foundation to spread the word about all of CLiF’s work. 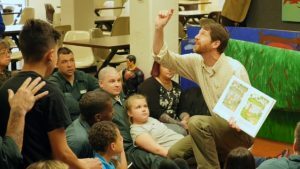 This first program, focused on the Children of Prison Inmates Program, and highlights CLiF’s work to improve children’s literacy as well as building family bonds. Peregrine Productions is excited to share the animation created for Cathedral Square to describe their SASH model as well as the many benefits and successes! The quick version of how the history documentary was created. Told by the people who produced it. 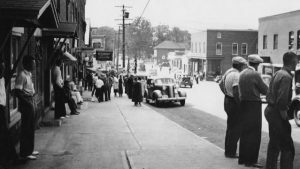 Vince Franke teamed with seven students from Bill Doyle’s Vermont Government and History class at JSC to produce this 37 minute documentary that shares the stories and memories of the events that shaped Waterbury. 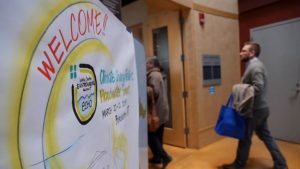 The Vermont Agency of Agriculture wanted to build awareness of and interest of the Working Lands Enterprise Initiative. 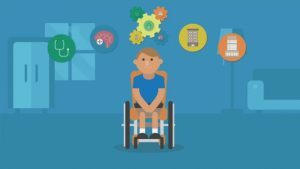 We interviewed some key board members and visited many of the grant recipients to tell this story in a visually appealing and engaging approach. CTE is now building net zero houses as a part of their Building Technology Program and wanted an authentic commercial to raise awareness and appeal to potential students. 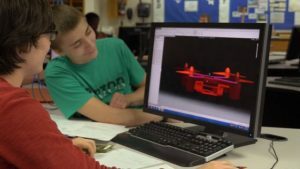 Designed with partners including Husky and Global Foundries, the Center for Technology, Essex is now offering a new Engineering Design and Production Technology Program. They wanted to introduce this program and CTE through recent Advanced Manufacturing graduates. 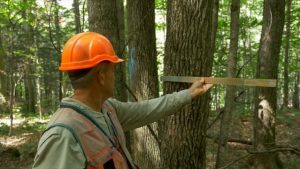 We are proud to share this new video we created for the NRCS in Colchester. 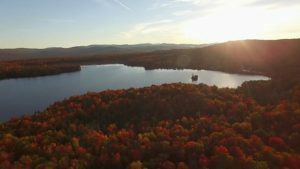 The video has received some great feedback from the DC office, but most importantly we hope it resonates with Vermonters! 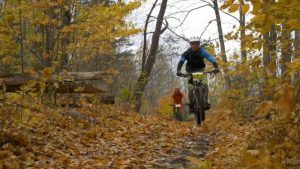 Kingdom Trails and Conservation Collaboratives wanted to capture the spirit of this event as well as give people an idea before they sign up next year. 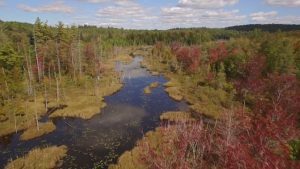 After an exciting upgrade to the Panasonic GH4 to capture footage in 4K, our new drone has also provided spectacular perspectives for current wetland and forestry videos. As you guessed, here’s a quick compilation of some early flights. 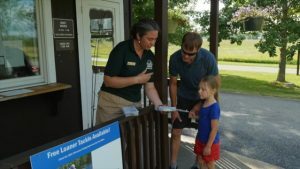 Vermont Fish and Wildlife created a campaign to encourage people in their 20’s and 30’s to get out and enjoy some time outdoors fishing. We created this 15 second short to play as a YouTube ad. 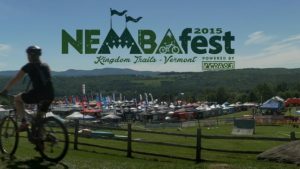 The Kingdom Trails organization wanted to reach the full range of potential visitors from families to mountain bike enthusiasts with a highlight reel of their 2015 annual NEMBAfest event. 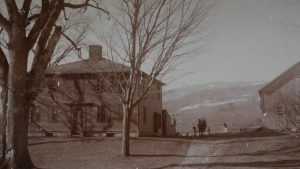 Peregrine Productions was brought in to collaborate with a Johnson State College Vermont History class to create a documentary that weaves together the stories and memories of long term residents as they grew up in Bennington County. The Carizzo Plain is California’s largest concentration of endangered species and yet the wildlife is rarely seen. The Bureau of Land Management hired us to produce a program for their visitor center that would give visitors a glimpse into this secretive grassland world. 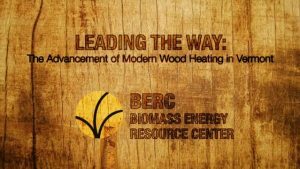 Modern Wood Heat Video: BERC works to advance the use of community-scale biomass energy and was looking for a video to educate the public on the established benefits and best practices. 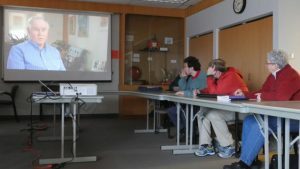 Leahy Summit: ECHO and the Cooperrider Center wanted to share the excitement and progress of the Leahy Summit. Vince Franke interviewed a number of participants during the two day event in order to edit this highlight reel. 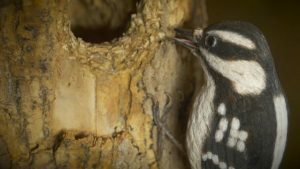 The Birds of Vermont Museum wanted to update their visitor center video to give guests an understanding of the museums unique history as well as inform visitors about all there is to do.